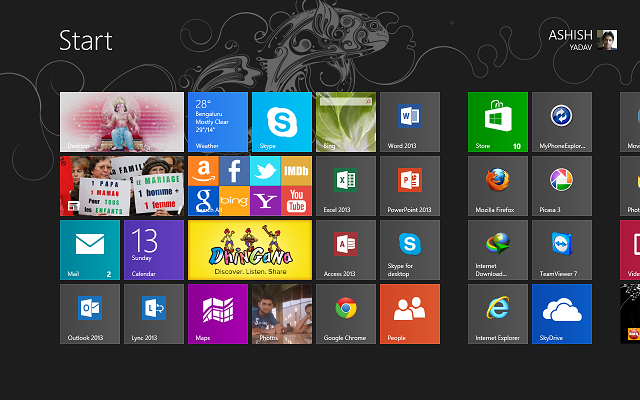 Metro – available under Windows 8 & Windows 8.1 is Microsoft’s initiative to make applications compatible to all type of platforms like Laptop, Tablet, Phablets and Phones. Let’s get on to the topic, now Microsoft has tried to make Metro applications light weight so it should be available & compatible in all kind of Handheld & Digital devices. So as to make it Light weight it has deprecated many APIs which would be necessary for Developers to build applications. 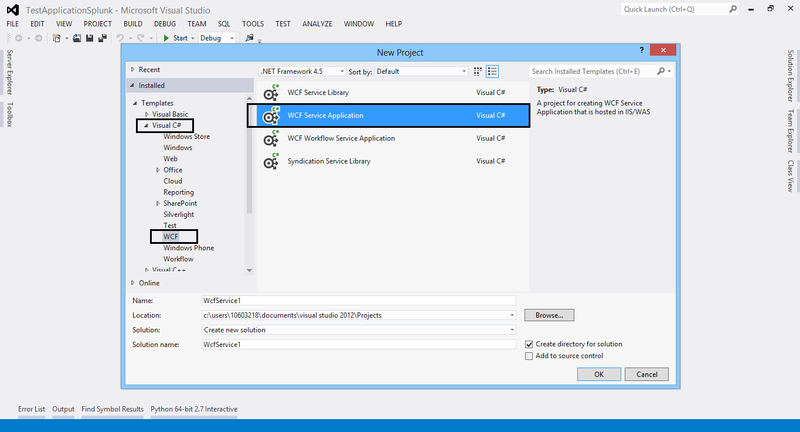 Metro applications can be built on .Net Framework 4.5 (Compact). Many APIs which are available with .NET 4.5 is not available under .NET 4.5 – Compact, thus limiting the developers to build applications with features that are not available under .NET 4.5 compact. So as to overcome this limitation and develop applications which will be a metro application but has features/API which are not available under Metro, the following steps need to be followed. To overcome this limitation what we can do is we can create a service which will be a .NET 4.5 application & our metro application will communicate with the service to do those task which are not possible under Metro application. In Visual Studio, Create a New Project => Choose the preferred Language (C# in my case ) => Choose WCF sub menu => Then Choose WCF Service Application as mentioned in the Image below. We are using .NET framework 4.5, at present this is the latest framework. You are free to choose any framework depending upon your requirement. Give a name to your Service and click OK. Since here the development framework being used is .NET 4.5, all the API are accessible so develop the application here and once you compile and execute the service it will be available as a service. b. Modify the service contract as below. Just make one operation contract to return a string. Once your service is available you can follow the procedure mentioned here to deploy it as a Service on IIS and then use it in any metro application!